I love pretty sunsets! 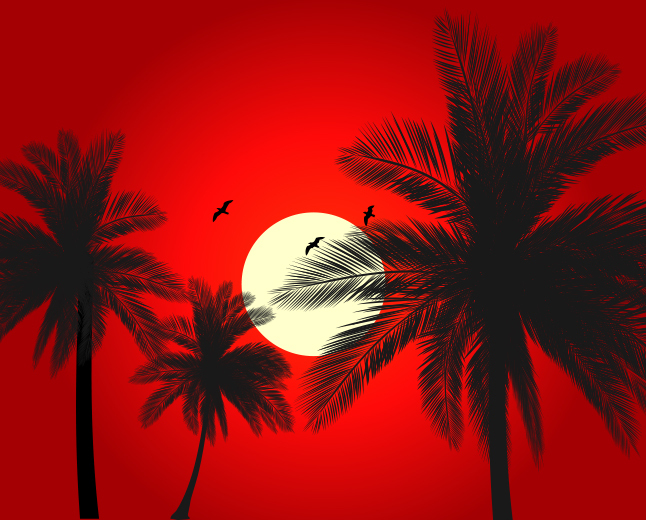 So I made this Red Palm Tree Sunset Vector. This sunset vector has a great tropical look - perfect for summery or beach projects.